My hope today is to simplify your holiday planning a bit. 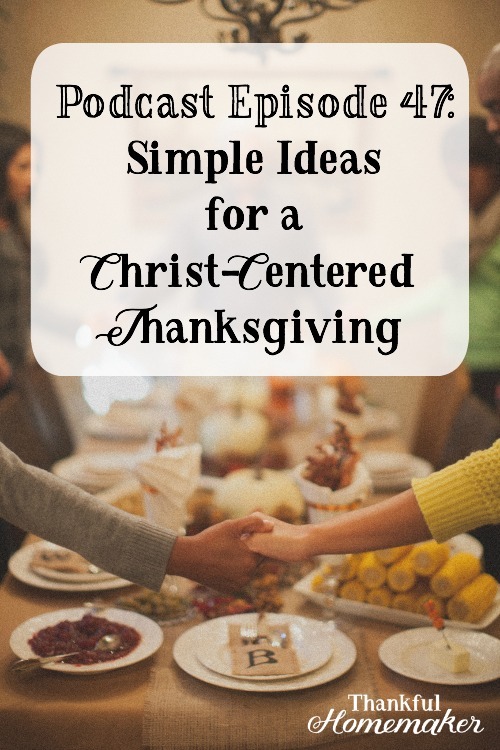 So you’re getting this two weeks before Thanksgiving with the hopes it will be a help with maybe getting a bit more organized than you have in past years and also starting to think about how you can focus your day on the Lord. I want you to be able to keep your family's and your focus on Christ and not get caught up in all the things on your seemingly long to do list. Thanksgiving should be a time of feasting on the abundant grace of God. Prayer – read a prayer from Valley of Vision – see my post here for an example of one we use. Ask around the table – What are you thankful for? For Other Recipes Mentioned check out this post. Subscribe to the blog here and not miss a post or podcast episode.